1. 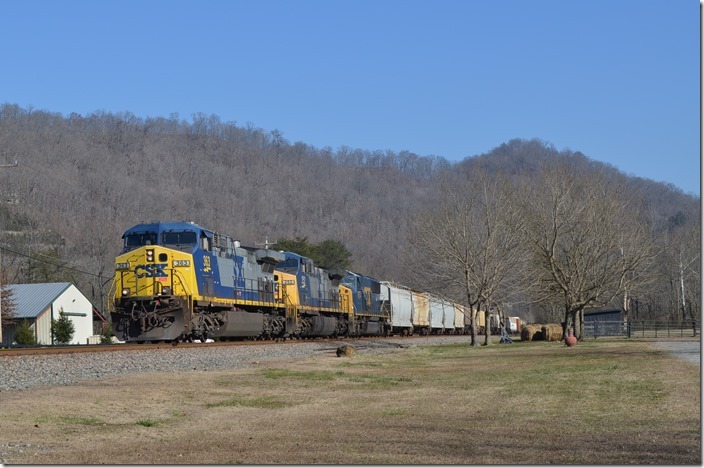 CSX 339-368 w/b T155-08 (Damron Fork mine-Pier 9 Newport News) has just passed FO Cabin (WE double track from Fords Branch) and is picking up speed toward Pikeville. 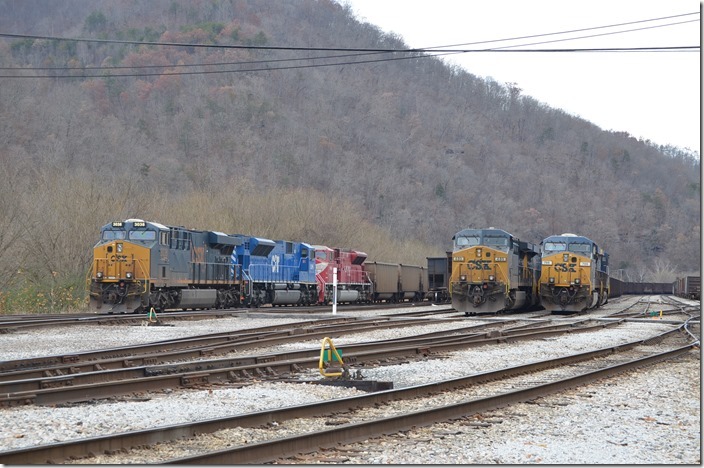 This 100-car train will be set off in Paintsville Yard. This is the location for the former Chaparral Coal tipple. 11-9-2014. 2. 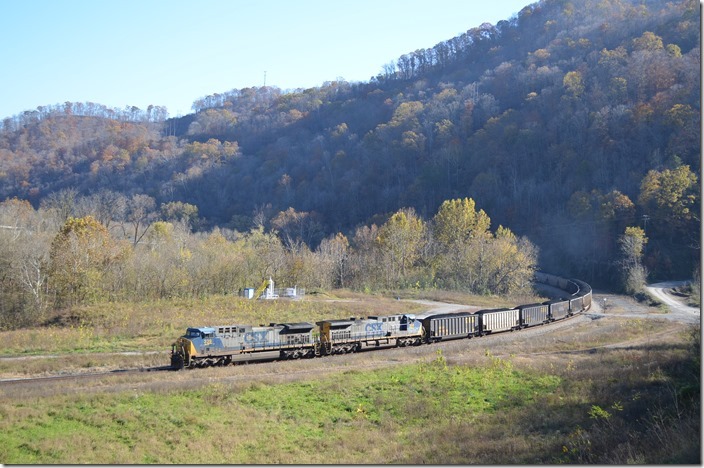 CSX 364-420 on e/b N880-23 passes the old Chaparral Coal tipple site with a loaded SCWX train. Several hunters are waiting beside the track. 11-23-2014. 3. 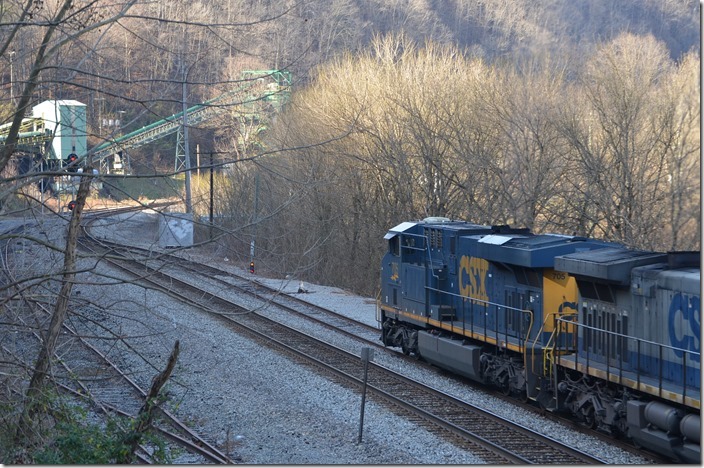 CSX 4038-CIT 118-INRD 9006 wait on the main for a crew before proceeding west. Shelby. 4. CIT 118-INRD 9006 Shelby. 5. A shifter is ready to head up the SV&E. 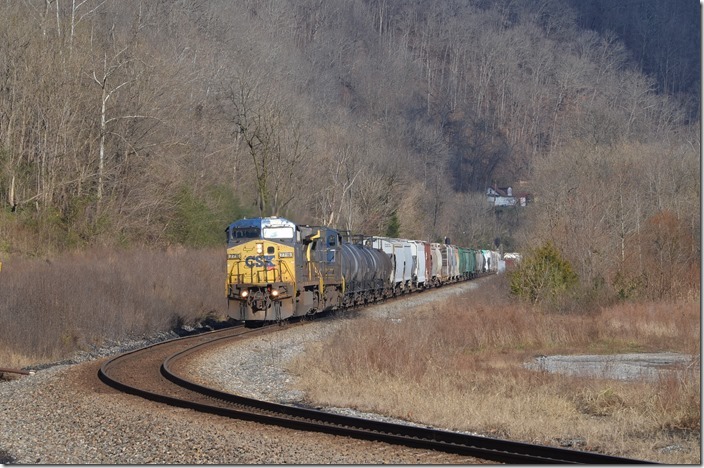 CSX 5271 121 Shelby. 6. UP 5151-4635 on w/b ethanol empty tankers rolls down the siding at the west end of Pauley for a meet This is in front of our house. 10-19-2014. WE Pauley. 7. The eastbound waits in the shadows at WE Pauley so as to not block crossings. UP 5151-4635 WE Pauley. View 2. 8. 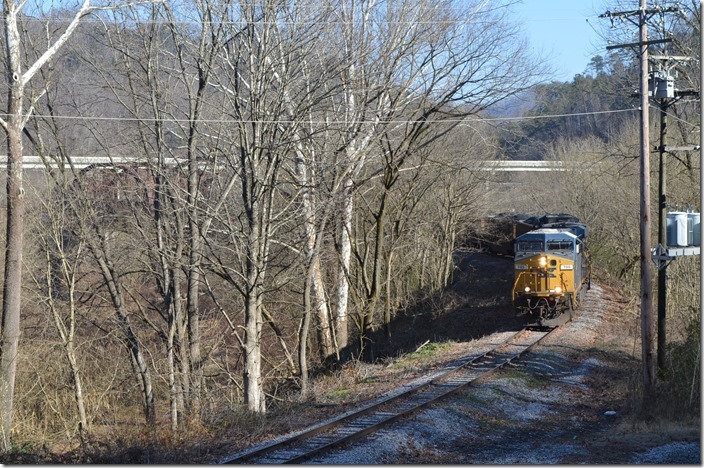 CSX 7716-63 on e/b Q698 passes the Chaparral site before reaching double track at FO Cabin. 12-7-2014. 9. 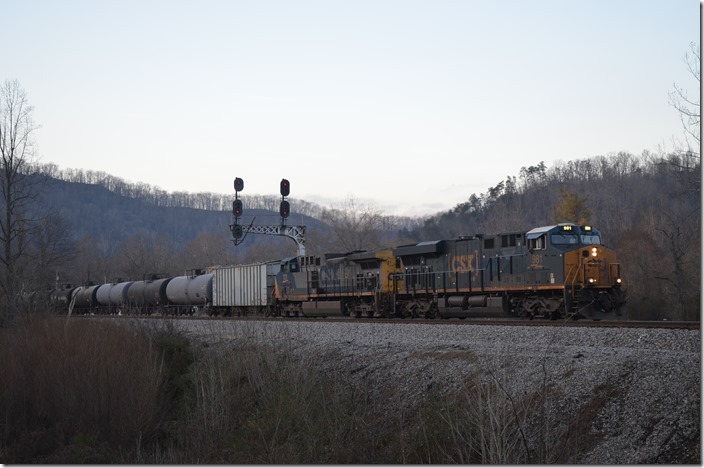 CSX 705-305 on C860-07 double their Slones Branch train together before heading to Shelby. Levisa Jct. 10. 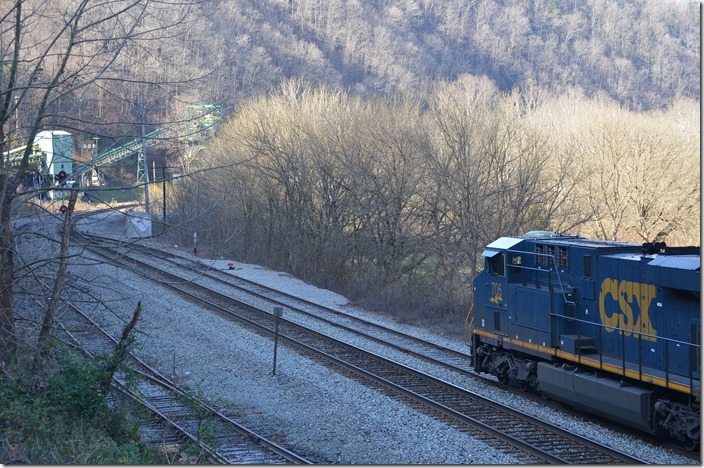 CSX 705-305 Levisa Jct. View 2. 11. 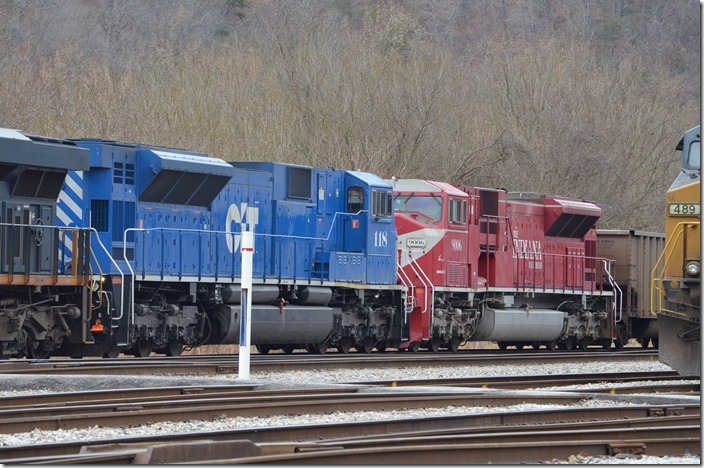 Red on the dwarf at Levisa Jct. 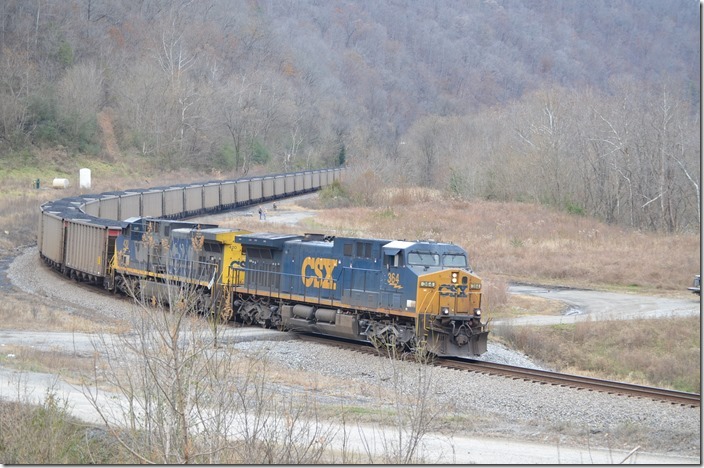 CSX 705-305. View 3. 12. Slow approach on the dwarf to come off the Pompey Spur (formerly the Levisa Sub-division). The next signal is the EE Shelby. 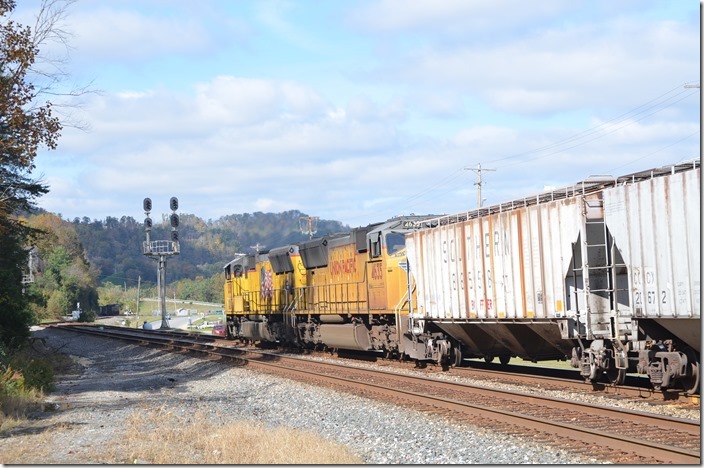 The conductor will get on at Sutton crossing or EE Shelby. 12-7-2014. 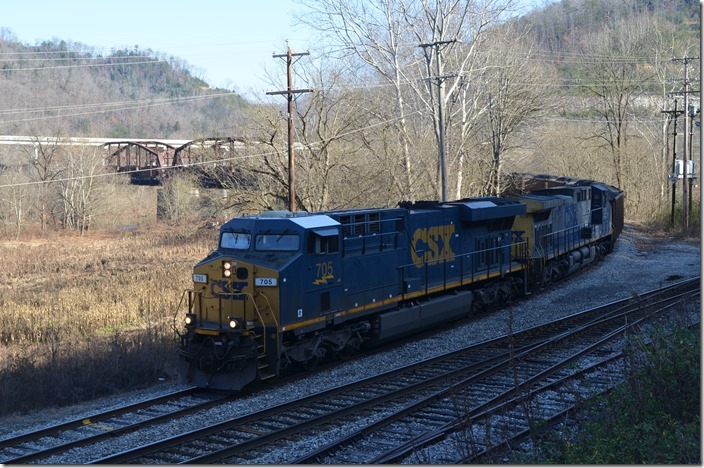 CSX 705-305 Levisa Jct. View 4. 13. 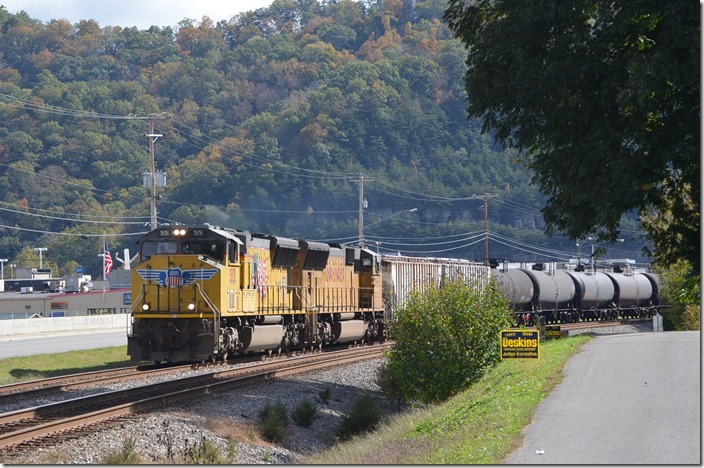 CSX 981-121 on e/b ethanol train K451-11 (CN BRC Clearing Yard – Pelzer, SC) enters double track at Dawkins (single track through Paintsville Yard). Years ago the Dawkins Sub-division branched off to the left out of view, but that’s history now. Dawkins. 14. 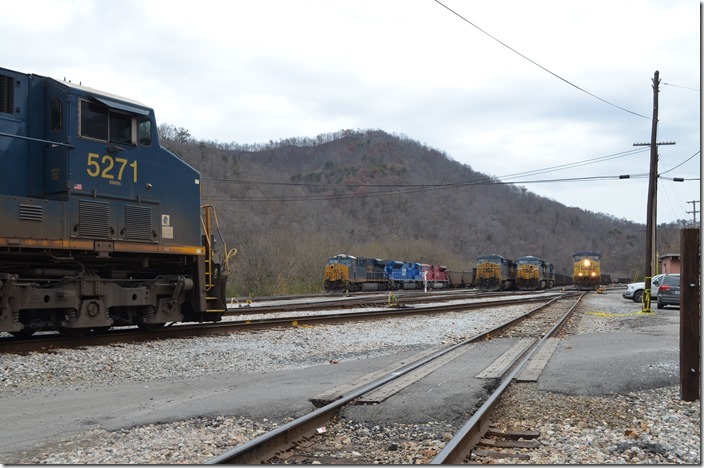 CSX 363-252-8773 are w/b on Q697 at Broad Bottom on 12-21-2014.